Shooting a reimagining of the iconic Australian novel Picnic at Hanging Rock was challenging but highly rewarding for cast and crew. DQ reports from the set of the six-part drama. Primly dressed as a schoolteacher, Yael Stone is standing in front of a classroom of young girls in a historic building in Melbourne’s eastern suburbs, speaking gravely about Christ’s crucifixion and resurrection. 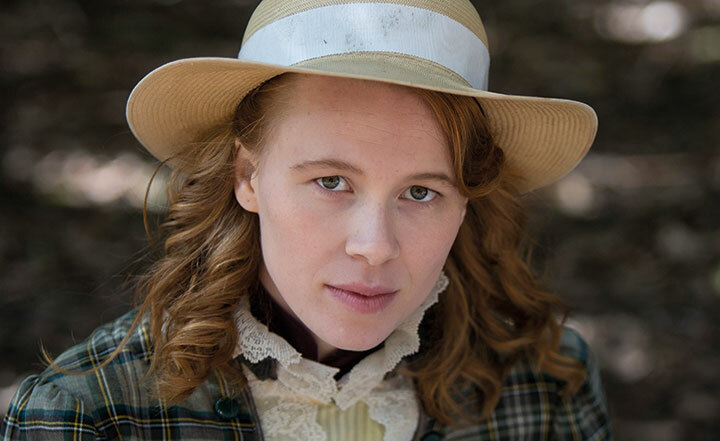 Playing religious studies teacher Dora Lumley, she draws a comparison between Jesus’ place of entombment and the caves of Hanging Rock, from where three students and a teacher had mysteriously disappeared a few days earlier, on Valentine’s Day 1900. After numerous takes, each flawlessly delivered by Stone, director Larysa Kondracki calls cut on a pivotal scene in Picnic at Hanging Rock, FremantleMedia Australia (FMA)’s six-part reimagining of Joan Lindsay’s iconic 1967 novel, which previously inspired Peter Weir’s classic 1975 movie. Amazon Prime Video came aboard as the US partner to the drama commissioned by Australia’s Foxtel in a deal trumpeted as the biggest ever for an Australian series in the US, surpassing SundanceTV’s investment in Top of the Lake: China Girl. Sales to several other key territories are pending, negotiated by FremantleMedia International. While the budget is under wraps, another investor, state agency Film Victoria, estimated the production would inject more than A$11m (US$8.8m) into the local economy. Directed by Kondracki, Michael Rymer and Amanda Brotchie and scripted by Beatrix Christian and Alice Addison, the high-end production is the first of a number of adaptations of Australian novels planned by FMA. The cast is headed by Game of Thrones’ Natalie Dormer as Mrs Appleyard, an English widow who moves to Australia and creates the Appleyard College for Young Ladies. Lola Bessis (Cassandra, Swim Little Fish Swim) plays Mademoiselle Dianne de Poitiers, mistress of French conversation, music and dance. Anna McGahan (The Doctor Blake Mysteries, The Kettering Incident) is Miss Greta McCraw, mistress of geography and mathematics, and Sibylla Budd (Tomorrow When the War Began, Winners & Losers) is Mrs Valange, mistress of art and literature. In the key roles of students are Lily Sullivan, Madeleine Madden, Samara Weaving, Ruby Rees and newcomer Inez Curro. The top-notch male cast includes Don Hany, Harrison Gilbertson, James Hoare, Marcus Graham, Mark Coles Smith, Jonny Pasvolsky and Philip Quast. The idea to revisit Lindsay’s novel germinated internally at FMA and the rights were secured from Barbara Mobbs, literary agent for Lindsay’s estate. Fremantle developed the project with Christian, who wrote the series bible and the first episode, and Addison. Several broadcasters were interested in the project – which explores the fallout from the disappearance of the girls and teacher – but FMA’s relationship with Foxtel, for which it produces the female-prison drama Wentworth, helped cement the deal. Foxtel greenlit the show after Screen Australia approved its production investment in September 2016. Although that was before any cast had been attached, there was an understanding that a marquee name would be hired to play Mrs Appleyard. The producers also wanted a female lead director who had experience in big-budget storytelling and would be able to attract a big-name cast. Christian Vesper, FremantleMedia’s executive VP and creative director of global drama, suggested Canadian filmmaker Kondracki, based on her work on such shows as Better Call Saul, Legion and The Americans. 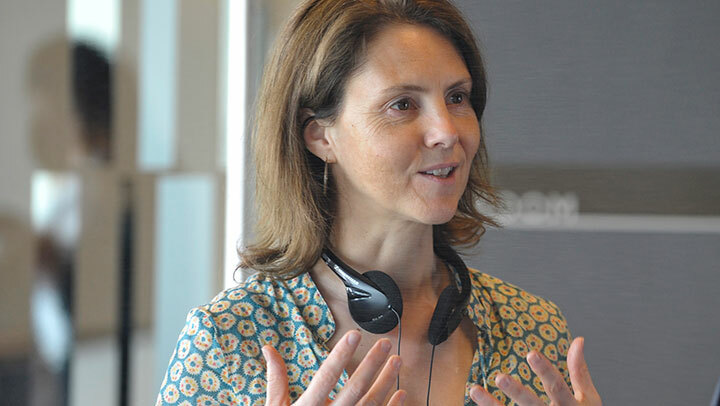 Five or 10 pages, in however, Rymer says he found the script “very intriguing – not what I expected to read.” He also suggested bringing on board Brotchie, who was hired after the Australian Directors’ Guild (ADG) objected to Kondracki on the grounds that she did not meet the net employment benefit test set by the country’s immigration department and questioned why an Australian female director was not employed. When Brotchie signed on, the ADG withdrew its complaint. Subsequently, funding agency Screen Australia affirmed it would change its guidelines to rule out financing Australian television projects, excluding coproductions, if a foreign director is attached. The LA-based, Melbourne native Brotchie had directed two episodes of Girl Boss, a 13-part Netflix comedy inspired by the true story of Sophia Amoruso, a digital entrepreneur who founded the fashion e-commerce site Nasty Gal. Among the directors and producers, there was a 95% consensus on casting, according to Rymer. The process was complicated by the fact multiple other high-profile shows were casting at the same time and several actors dropped out due to scheduling problems, but they got the cast they wanted. 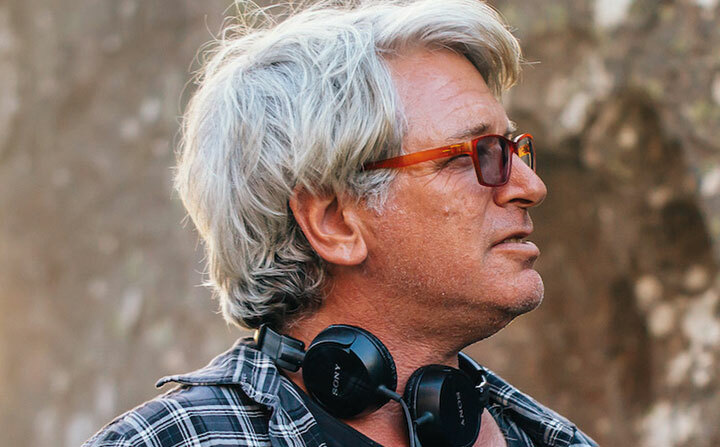 Kondracki directed the first three episodes, Brotchie helmed episode four and Rymer picked up five and six, although occasionally each worked on the others’ blocks. In Weir’s film, Mrs Appleyard was played by the then middle-aged Welsh-born actor Rachel Roberts, so Dormer is a generational change. However, Porter says: “We did not deliberately go young. What we wanted was someone who had command and strength, and Natalie has that in spades.” The timing was also fortuitous because Dormer was looking for her next major role after playing Margaery Tyrell in HBO’s Game of Thrones. Similarly, Stone was impressed with the way Dormer brought out her character’s “truly chilling, quiet velocity.” The New York-based actress, who was born in Sydney, was keen to find another Aussie project after playing a cop in Deep Water, Blackfella Films’ miniseries commissioned by Oz pubcaster SBS. For her audition tape she stuffed her lower jaw with toilet paper and adopted a nasal tone to impersonate Miss Lumley, a character who lacks authority, is unable to communicate with her fellow teachers and is not respected by the students. Then when she arrived on set she expected to be able to use prosthetics, but was told the budget did not stretch that far, so she used paper towels. Her performance starts out as comical but at the end will likely elicit tears from viewers, according to Porter. Madeleine Madden’s casting as student Marion Quade marks another departure from the book and movie as the series’ only Indigenous character. “Marion prides herself on her intelligence and is really aware of the social prejudices of the era,” says the 20-year-old, whose credits include Tomorrow, When the War Began and the Indigenous series Redfern Now and Ready for This. “Her father is white and her mother is Aboriginal. She is put into the school to be hidden away. This makes her aware of challenges that are unique to her and do not apply to the other girls.” As a further twist, Marion has a romantic relationship with one of the women in the college. 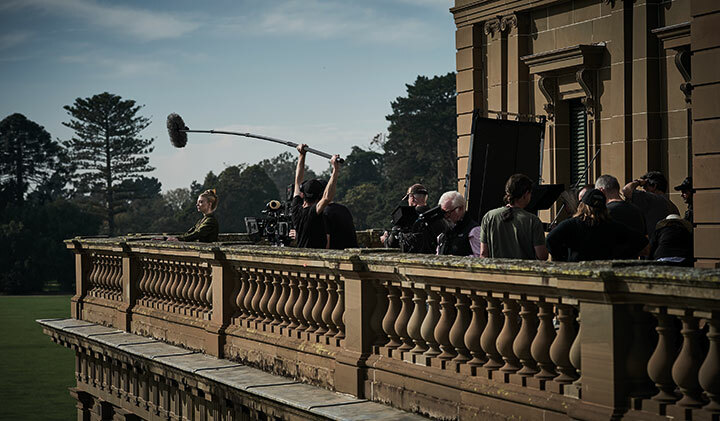 The logistics of filming in and around the labyrinth of Hanging Rock, which is 70km north-west of Melbourne, and numerous other locations in the state of Victoria and around the city, proved challenging for cast and crew, including director of cinematography Garry Phillips, production designer Jo Ford and costume designer Edie Kurzer. Kondracki devised a novel plan to elicit ideas from the cast and crew, offering a bottle of wine in return for innovative suggestions that ended up on screen. The best involved creating a “curtain” of water for one scene filmed on the top of the rock, which entailed several crew members lugging 1,000 gallons of water in buckets up the 106 metre-high rock. Each director had a different filmmaking style, which was embraced by the actors. McGahan describes Kondracki as “a radical, a fire; with her, you get all this adrenaline,” Rymer as a consummate professional and visionary and Brotchie as an actor’s director who involved herself in all the choices the actors made. The partnership with Amazon Prime Video also enabled the producers to increase the shooting schedule to 13 weeks and to extend the second unit’s workload. Weir’s film famously ended without revealing what happened to the missing teacher and two of the girls (one returned, but had no memory of the event). The series, launching down under in 2018, canvasses various possibilities: were they kidnapped? Did they escape? Did they go into a time warp? Were they abducted by aliens?